If you’re reading this post, thank you so much, but I do have a confession to make. This post is not really about Chris de Burgh. It’s about my mum (and her love of Chris de Burgh). My mum is now 82 years old and in the grip of dementia. It’s early days as far as dementia goes, but bit-by-bit we’re all watching as she goes down a hard, sad road that we can’t go with her on. My mum has loved Chris de Burgh for as long as I can remember. Buying her birthday and Christmas presents was always the easiest thing in the world when he had a new album out. My mum had an old ghetto blaster that she used to play her huge collection of Chris de Burgh albums on. She’d play them so loud the walls would rattle. The words and the songs seemed to permeate my subconscious by osmosis. When we were young, our house had always been filled with my mum’s music. There was Neil Diamond, Doris Day, Charlie Rich. There were film soundtracks (a love I still have 40 years on), old Country 78’s and Petula Clark. My mum and my Aunty Pat (not a real aunty; a Scouse aunty) would dress up in fabulously glamorous maxi dresses in the 70s and go to the Wooky Hollow club to see old-school singers like Tony Christie. Music was always a huge part of my mum’s life and loves. One of the first alarm bells that rang for me when we were going through the “Is it old age or maybe something else?” phase of my mum being assessed for dementia was when she gave me her entire collection of LPs, CDs and cassettes. She’d parcelled up the every last piece of the music that had filled her life for so long and asked me to give them to a charity shop. I begged her to reconsider, but she insisted that she didn’t want them any more. And that was that. From a woman who’s kept every single childhood note, every birthday card, every naff holiday trinket she’s ever been given. A lifetime of music bundled up and given away. Of course, I didn’t give them to a charity shop and they’re still around the muddle of my house somewhere. And the vast majority of this collection is the work of Chris de Burgh. And so, we come to Mr de Burgh’s upcoming gig at the Philharmonic this weekend, which I’m taking my mum to see. Well, we will. If you’re still with me so far, indulge me a little longer if you will. This is not the first time me and my mum have seen Chris de Burgh live. We’ve seen him quite a few times over the last twenty-odd years. The first time I took my mum to see a Chris de Burgh gig, I was going through a full-on late 80s/early 90s acid house phase. My mum had bought two tickets for a de Burgh gig and couldn’t find anyone to go with her for love nor money. Not a soul. And so, with the singular bad grace of a twenty-something dragged from a rave, I said I’d go with her. That first gig was de Burgh on his own with a guitar doing a one-man show. I grudgingly recognised de Burgh’s musicianship and his vast body of work and happily recognised my mum’s joy that being there. And so began what was to become one of our “things”. Me and my mum. We’d go to Chris de Burgh gigs; sing along to the old classics and stand, arms waving aloft while belting out “High On Emotion”. I was once asked out on a date by a guy I’d fancied for a while and had to rebuff him with a barely believable, “I can’t see you on Friday, I’m taking my mum to see Chris de Burgh.” The guy never re-scheduled the date and my mum and I kept seeing Chris de Burgh concerts. Which leads us (finally!) to this Friday. I have no idea when Chris de Burgh might come back to Liverpool after this tour. When he does, it might be too late for my mum. 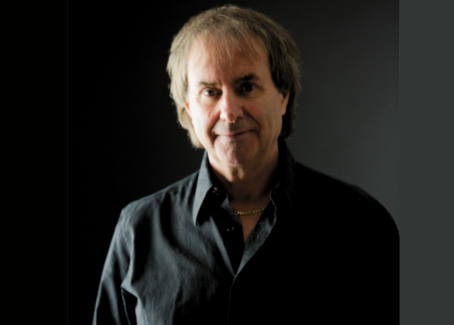 As I watch the person who my mum used to be unravelling like an old jumper as dementia pulls the fabric of her personality apart, I’m painfully aware that this could be the last time we do our “thing” of seeing a Chris de Burgh gig. I hope that my mum remembers all the songs like she always has. I hope she remembers the gig afterwards for as long as she can. I hope she sends a hand-written thank you note to the Liverpool Echo, as she always has. And I hope that if she does, they print it so that she can cut it out, cover it in Sellotape and keep it with all the other notes and cuttings she never throws out. I really hope that my mum’s love of music and her love of Chris de Burgh stays with her for as long as possible afterwards. I know that I’ll treasure it always.